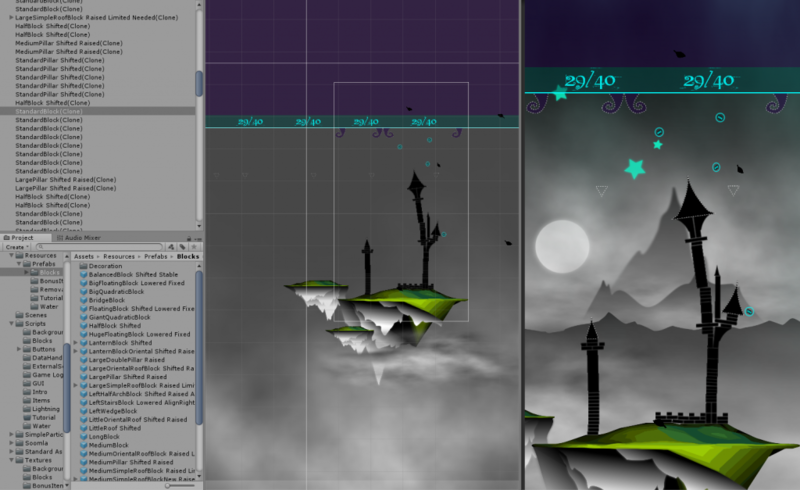 As mentioned in the last entry, I’ve started working on an iOS port of “The Tower of Egbert”. As I’ve also mentioned, I’ll be able to change some things while porting the game. So what does that actually mean? From the feedback I received so far on these changes I have high hopes that they will actually improve the game quite a bit, which is a good thing since a more accessible game leads to more players and hopefully a little more financial resources that would allow me to continue working on the game beyond the iOS port. This brings me to my last point for this post. What about the features that you (and I) are actually looking forward to, namely a free building mode and the third world? Well, first, let me apologize that they are not already in the game; it has been a while since I announced them. While I would really love to get started on new content right away, now that I have the means for continuing the development of the game, I think that it’s a lot more important to get the foundation right. The iOS launch is a big chance on making “The Tower of Egbert” more successful and ensure further development. In the long run this should hopefully pay off for the game. Nonetheless I would love to include either the free building mode or the new world in the iOS release already but I will have to check if this makes any sense later on. That’s it for now. Feel free to tell me what you think of this approach in general or the changes I mentioned above in particular (maybe it’s best to make use of the forum for this)! PS: In the screenshot you can see my first take on implementing the forbidden zones and new possibilities for buying/removing stuff with crystals in the Unity editor.